Vids from Old Orchard Farm in East Lyme, CT 7/18/14. A beautiful room, a great crowd and some delicious farm-made ‘cider mead’ contributed to an absolutely wonderful evening. Nominated for a 2014 Whalie Award for ‘Best Americana Video’! Video of the “Signs” CD release party by Casey McGrath. Opening band: Black Marmot (Rivergods on around 18:30 into the video). Video from our Sailfest 2011 appearance shot by Andrew Proctor. Video from our Sailfest 2011 appearance shot by Andrew Proctor. Smokin’ lead guitar work by special guest Tim Parker of Black Marmot. 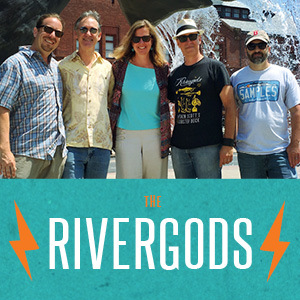 More videos, and lots of other cool stuff, at the Rivergods’ Facebook page.